This is the Agile Uprising Podcast. Agile Uprising is a purpose-built network that focuses on the advancement of the agile mindset and global professional networking between leading agilists. We will remain agnostic of certifying bodies and focus purely on the advancement of the agile craft. Our network will evolve over time, and at the core our online community will remain free to join - forever. We will leverage both traditional and emerging communication and collaboration channels to explore various topics of interest with a direct focus on removing external influences from sponsors, partners and other organizations. Subscribe to our podcast on iTunes, Stitcher or your favorite podcasting app! Agile Uprising is a purpose-built network that focuses on the advancement of the agile mindset and global professional networking between and among practicing agilists. This is a group founded by passionate practitioners for passionate practitioners, and not a revenue generating organization. We will remain agnostic of certifying bodies, removing external influences such as sponsors, partners and other organizations allowing us to focus purely on the advancement of the agile craft. 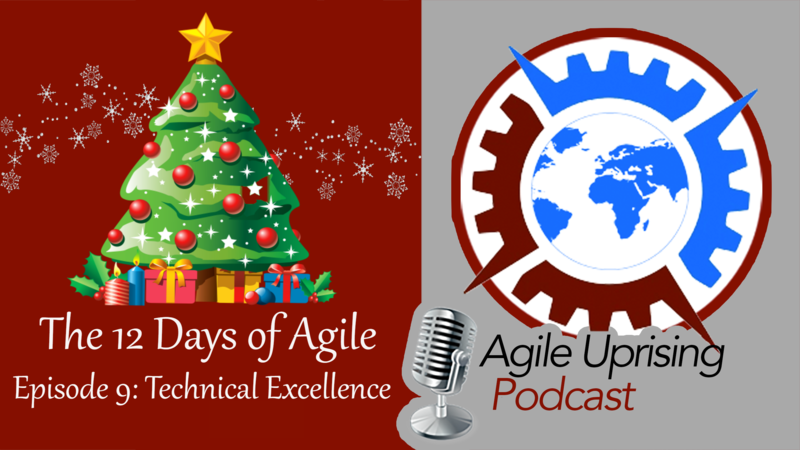 Join our hosts Troy Lightfoot, Andy Cleff, and James Gifford as they discuss the 9th Agile Principle: "Continuous attention to technical excellence and good design enhances agility." Help us pay attention to the right things by becoming a patron and supporting the Agile Uprising for as little as $0.03 day!